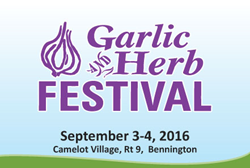 The Annual Southern Vermont Garlic and Herb Festival, now in its twenty-first year, will take place at Camelot Village on September 3rd and 4th. 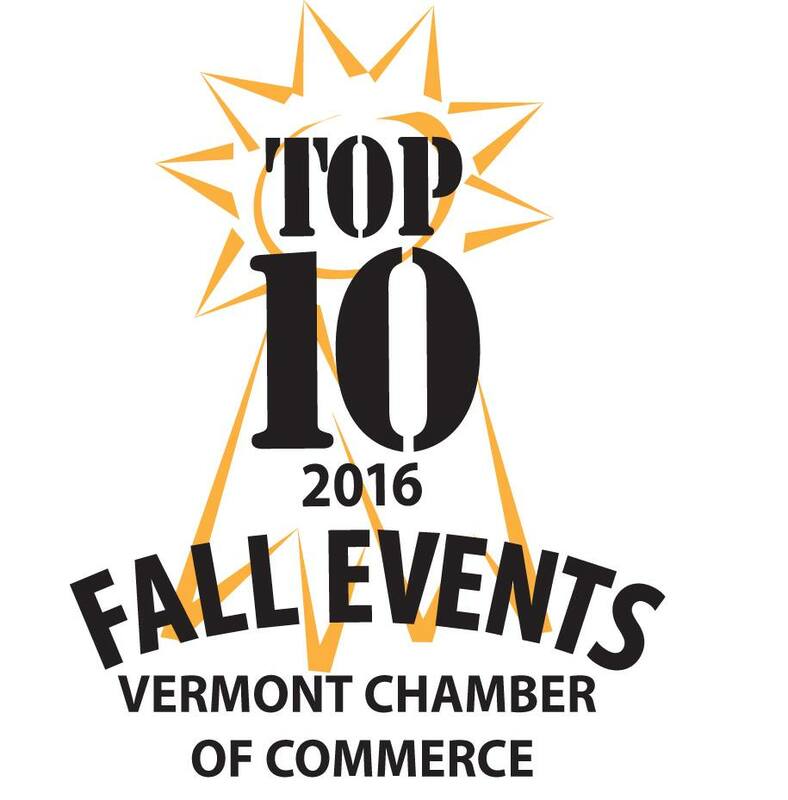 The two-day event was attended by nearly 15,000 people last year and has been named one of Vermont’s “Top Ten Events of the Year,” selected as a “Top Event” by Yankee Magazine’s Best of New England, and recently considered as one of the Top 10 Garlic Festivals in the world. The festival, also known affectionately as “Garlicfest” for short, opens its gates up on Saturday morning at 10am. Over 200 vendors will feature an array of garlic-inspired booths, from garlic popcorn, to garlic wreathes, to garlic chocolate, there are the traditional items for garlic lovers and items for the more adventurous. Along with the garlic vendors, the event is widely known for its assortment of great food vendors. 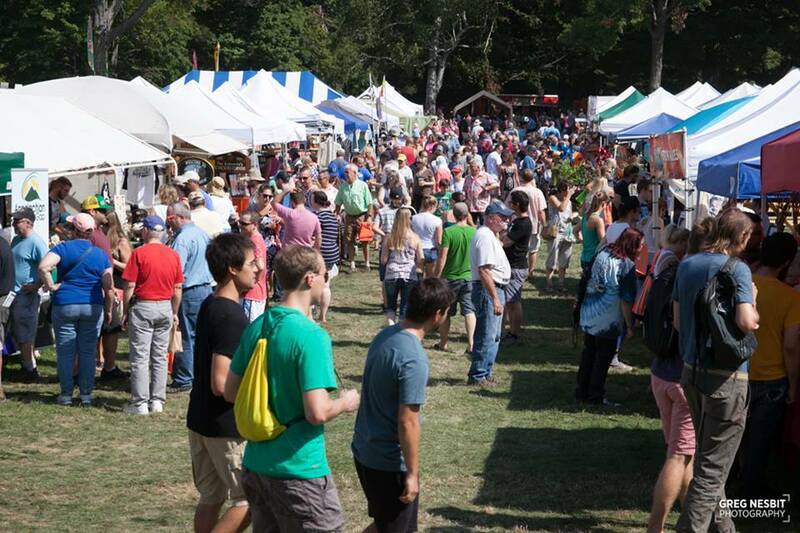 This year the event welcomes back favorites like Lemon Love, Pops (popcorn), Bart’s Ice Cream, Good To Go (dumplings), Loopy’s (crepes, espresso, and smoothies), and Sherri’s Crabcakes. Local food vendors include Bennington Lions’ Club, Ramunto’s Pizza, and Hound Dogs. Some new food vendors have been added including Reggae Boy Café (Jamaican food), Caja Madera (Mexican food), RJ’s Famous, and Vermont Botanical Beverages. Music is always a highlight of the event. Saturday’s line up includes Aviva (10am), Hill Hollow (11:30am), Julie Shea Band (1pm), and The Legato Blues Band (3pm). Sunday’s line-up includes Ray Gifford (10am), Carma (11:30), Roadhouse (1pm), FunkintheTrunk (3pm). Ramunto’s Pizzeria will be the featured “Beer and Wine Garden” provider for both days. Their tent will include Vermont Craft Brews, wine, specialty drinks like Garlic Bloody Marys & Garlic Margaritas, and giveaways and raffles all weekend long. Demonstrations begin Saturday morning and continue throughout the weekend on subjects including planting, growing, braiding, and cooking different garlic varieties. The Kids’ Tent returns with activities from Home Depot, Gamer’s Grotto, Vermont Wooden Blocks, a roaming juggler, bounce houses, as well as other fun events. The Roaming Railroad returns as transportation around the event. MCing the Welcome Booth again this year are Michael Harrington, Bennington’s Economic Development and Community Director and Matt Harrington, Executive Director of the Chamber of Commerce. Each year they provide commentary on the event, garlic trivia, giveaways, dance-offs, information, music and interviews. Right across from the Welcome Booth at Gate One will be the Garlicfest Merchandise Booth featuring a revamped and new assortment of Garlicfest t-shirts, cozies, hats, stickers, mugs and more. The cost for a one-day pass is only $6 online and $8 at the gate for adults and $2 for children 12 and under. A two-day pass is $10. Festival hours are 10am-5pm. Camelot Village is located on Route 9 in Bennington, Vermont. Parking is free. For aspiring gardeners, garlic growers, garlic lovers or those simply looking for a fun way to spend a late summer weekend, the event promises something for everyone. For more information visit http://www.LoveGarlic.com or call the Chamber offices at 802-447-3311.